It seems like it should be so simple. Flour, yeast, water. What more do you need to make bread? 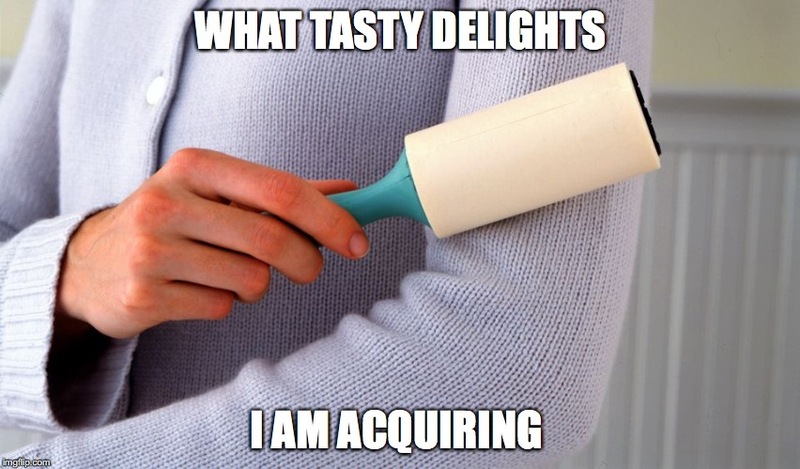 A lot, if ingredient labels are to be believed. If you purchase commercially prepared bread, as most Americans do, perhaps it’s time to explore what actually goes into this everyday staple. Reading the ingredient list on many store-bought breads can leave you wondering what in the world certain ingredients are, and what purpose they serve. Though sometimes it feels like you need a chemistry degree to make sense of unheard-of substances (calcium propionate? sodium stearoyl lactate? ), you really don’t have to be an expert to make informed choices when it comes to your daily bread. A little education goes a long way. Here’s a closer look to clarify several mystery ingredients that commonly appear in store-bought breads, and settle the score on whether they’re nefarious, harmless, or just…okay. L-cysteine: Let’s start with the worst and get it out of the way. L-cysteine happens to be my favorite food additive to pick on because it’s just so quintessentially disgusting. An amino acid used to extend the shelf life of baked goods, it sounds fine until you realize that it’s made of–ready for this?–HUMAN HAIR and DUCK FEATHERS. I get that it works to keep bread fresher longer, but frankly I can do without the feathers of water fowl in my diet. L-cysteine tops my list of weird bread ingredients to avoid. DATEM: “Datem has a natural ring to it…like dates,” you might think. “But why did you capitalize it?” Well, DATEM isn’t exactly natural, and capitalized because it’s an acronym of diacetyl tartaric acid ester of mono- and diglycerides…which, according to my calculations, works out to “DTAEMAD,” but apparently DATEM is easier to say. This ingredient serves as an emulsifier that creates a chewy texture in bread. For my part, I prefer a bread with as few additives as possible, but the FDA lists it as “generally recognized as safe,” and the Center for Science in the Public Interest concurs. Sodium stearoyl lactylate: On to another emulsifier/dough strengthener: sodium stearoyl lactylate. The science behind how this additive works is a bit vague, with one analysis stating, “little is known about the underlying mechanism” of its function. We do know it’s made of a combination of stearic acid and lactic acid, and typically derived from vegetable oil. Again, recognized as safe (but again, if you’re like me, you might prefer to skip it if you dislike unnecessary additives). Monoglycerides: From your high school chemistry class, you might recognize the suffix “-glyceride” as meaning “fat.” Monoglycerides are a type of fatty acid also used to improve texture in bread. Though they’re typically only added in small quantities to bread, they do contain trace amounts of trans fat. Probably not going to kill you in small doses…and yet there is that pesky association with heart disease and stroke. Cellulose gum: Ewwww, gum in your bread? Just kidding, not that kind of gum. Cellulose gum is derived from cell walls of plants like wood pulp or cotton (wait, maybe that’s worse?) and is used as a filler or thickener. It hasn’t been proven to be harmful, but the Center for Science in the Public Interest lists it as an ingredient to consume with caution, since a 2015 study found that it negatively affected gut bacteria. Plus, it might strike you as a little gross to eat something made of wood or cotton–or lint. Did I mention lint? 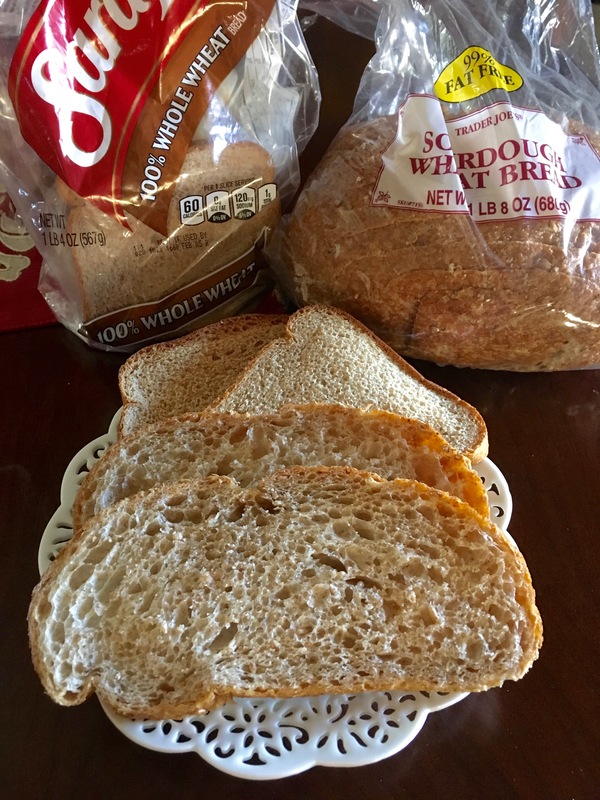 Modified wheat starch: Who knew bread needed so much thickening? Modified wheat starch is another bread thickener. Since it’s basically just added as filler, it’s not an especially desirable ingredient, but it is recognized as safe. Wheat gluten: Contrary to popular belief, gluten isn’t some poisonous bogeyman. It’s actually just a protein that helps bread stay nice and elastic. If you have a problem digesting gluten, you’d want to avoid it, but in that case, I don’t know what you’d be doing eating bread in the first place. Added wheat gluten poses no other known problems for consumption. For my money, bread doesn’t require much (if anything) beyond a handful of basic, familiar ingredients. A good rule of thumb is to look for as short an ingredient label as possible. Anything else can help shelf life and texture, but do we really need it? Nah. If you have concerns about bread going bad, you can always store it in the freezer and take it out piece by piece. Trader Joe’s offers several varieties with less than five ingredients, I’m happy to recommend Dave’s Killer Bread and Ezekiel 4:9 Bread as well. Also, whenever you can, for the healthiest choice, reach for 100% whole wheat. What’s your favorite bread? Have you taken a look at what’s in it? What did you discover?